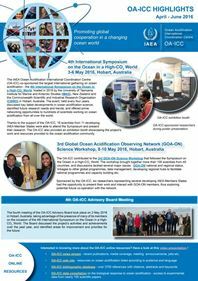 New Zealand leading Commonwealth into fight against ocean acidification Major steps to harness the collective power of the Commonwealth in the fight against ocean acidification will take place at the University of Otago, Dunedin in mid-February. The Commonwealth Ocean Acidification Action Group Workshop will bring approximately 45 international experts and Commonwealth marine policy and science officials together to share knowledge and experience to better understand and address the impacts of ocean acidification. Dr Christina McGraw of Otago’s Department of Chemistry, and Chair of the NZOAC Council, says the drop in pH of our oceans (or ‘ocean acidification’) in a relatively short historical timeframe makes the issue one of the most significant influencers of ocean health today. 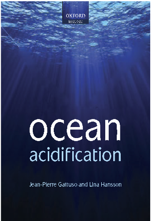 “Ocean Acidification is something that is happening now. We can’t stop it until we reduce carbon emissions, but we can start thinking about ways to plan and mitigate for it. The more people we have thinking about it now, the more ideas that can be generated towards the issue,” Dr McGraw says. Professor Cliff Law leads NIWA’s Oceans-Climate Interactions program and also teaches in Otago’s Departments of Chemistry, Marine Sciences and Botany. He is eager to tap into the considerable wealth of knowledge that the workshop will deliver. “Ocean Acidification has the potential to significantly impact marine ecosystems and economies, both around New Zealand and in the global ocean. Knowing more about the issue and what can be done to prevent this is crucial for present and future generations. There is much work to be done, and the collective power of the Commonwealth working together will be crucial,” Professor Law says. An international attendee who will bring first-hand experience is Dr Jan Newton, a Principal Oceanographer from the University of Washington in the United States, where ocean acidification has led to high mortalities on oyster farms in the Pacific Northwest. “Shellfish growers here have noted effects from ocean acidification on their ability to raise oyster larvae. Working together with ocean chemistry experts, they have undertaken active monitoring and developed ways of adapting their practices to help oyster production. I think the lessons we have learned can apply to New Zealand aquaculture and I look forward to sharing our experiences,” Dr Newton says. The workshop (17-19 February) is the first activity by the Commonwealth Ocean Acidification Action Group, which New Zealand volunteered to champion as part of its support for the Commonwealth Blue Charter – an agreement by all 53 Commonwealth countries to collaborate to solve ocean-related problems and sustainably manage the ocean. Manager of the Ministry of Foreign Affairs and Trade’s Environment Division Rosemary Paterson said New Zealand was proud to support the Commonwealth Blue Charter. “Commonwealth countries are responsible for a third of the world’s national coastal waters and many of us are vulnerable to the impacts of ocean acidification, so it’s vital we step up to lead collective action on this significant threat facing the globe,” she says. BACKGROUND: In April 2018, Prime Minister Jacinda Ardern volunteered New Zealand to ‘champion’ the Commonwealth Action Group on Ocean Acidification under the framework of the Commonwealth Blue Charter. Working together the aim of the Action Group is to galvanise action to minimise and address the impacts of ocean acidification on the marine environment, on economies that depend on fisheries, aquaculture and marine tourism, and on coastal communities that rely on coral reefs for protection. Identify potential actions and governance strategies for addressing the impacts of ocean acidification. There will be a focus on identifying priority activities that Action Group members can pursue together as well as strategies tailored to their own country. There will also be a focus on nurturing connections between Commonwealth states and international ocean acidification groups. Hosted by the University of Otago, the workshop is a collaboration between New Zealand’s Ministry for Foreign Affairs and Trade (MFAT), the Ministry for Primary Industries (MPI), The Ministry for the Environment (MfE), the National Institute of Water and Atmospheric Research (NIWA), and the New Zealand Ocean Acidification Community (NZOAC). Voxy, 12 February 2019. Article.